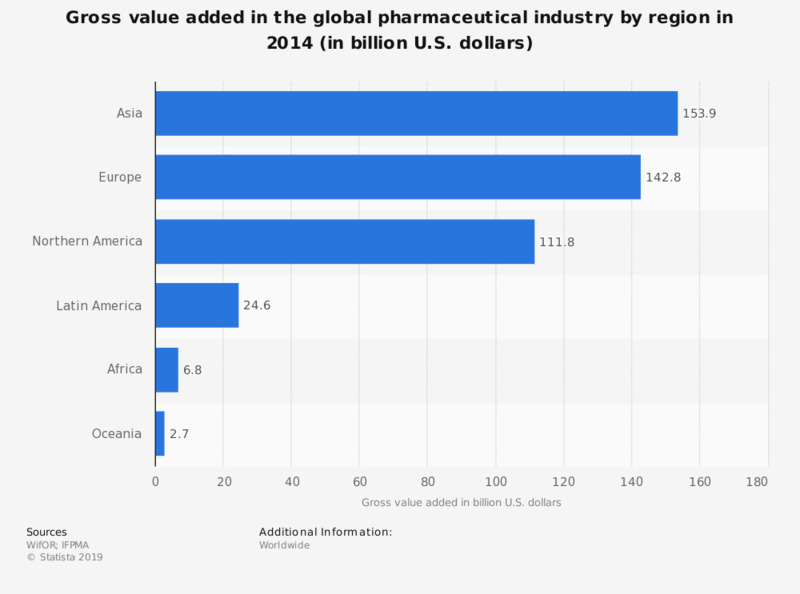 This statistic displays the gross value added in the pharmaceutical industry worldwide in 2014, distributed by region. During that year, the gross value added in the industry by Latin America totaled 24.6 billion U.S. dollars. The pharmaceutical industry employs around five million people across the globe, with about 3.4 million employees located in Asia.